Surgery is a challenging and rewarding career, requiring commitment, discipline and compassion. Though these qualities are integral part of being a surgeon, we do not come across persons imbibing all of these values in modern days. But here is an exception. An exclusive person who takes his job seriously, a proud Kodava, a precious asset of Mysore is Dr|| Adeangada. Acchaiah .Kuttappa. He is committed to his work; he is a disciplinarian, a philanthropist and a naturalist. It is a rare pleasure to hear about his successful career in his own words. Q. You are a man of character. Please tell us about yourself. Dr. A. A. Kuttappa – I was born and brought up in Kodagu, did my intermediate in Mangalore, B.Sc in Madikeri and Dental degree in Mumbai. I wanted to put up my clinic in Madikeri but on my friend’s insistence I started my practice in Mysore. I opened my clinic near K.R.Circle on January 17, 1965. Five decades have passed on thence. Q. How did you choose your profession, were you inspired by someone during your school days or were you inspired by someone among your family? Dr. A. A. Kuttappa – Yes, I was inspired by Dr|| C.N Bopanna. A man of dedication and patience, I always look up to him. I had decided to be a surgeon even before I joined college and took up my studies seriously as always. Q. Yours is a profession where you have to be cruel, to be kind. What do you like about being a surgeon? Dr. A. A. Kuttappa – Need not be that serious always. I am very passionate about my job. I like to be a general dental surgeon, who can take in the patient into confidence, treat them in such a way that they feel good. I compromise my treatment method for the comfort of my patient. Giving them choices and then making them agree to the best of them is essential for a doctor or a surgeon. Q. What is the best advice you have received on being a surgeon? Dr. A. A. Kuttappa – ‘Treat patients as you would like to be treated when you are sitting in their chair’! Q. What advice would you give someone considering surgery as a career? Dr. A. A. Kuttappa – We are human beings. Let us remain so! Professional ethics, human responsibility and compassion can win you many unexpected successes. Don’t fall into the tendency of frightening off the patients. Guide them properly, impress them, give them long hope and make them feel safe in your delicate hands. Dr. A. A. Kuttappa – I like dramatic plays, dance, harikatha. Poetry interests me. I give myself much for gardening too. Q. What is your philosophy on how oral health relates to overall body health? Dr. A. A. Kuttappa – Oral health is one neglected part. Nowadays conscious oral hygiene is better because some schools are inculcating it in their curriculum. Usually, we don’t see people coming in for routine dental checkup as in developed countries. Patients come to dentists only when it is unavoidable, also when they are in advanced stages of toothache. But there is a necessity to create awareness among the public regarding oral hygiene. It saves them the pain. Q. Do you have any advice to offer to patients who are nervous about having surgery? Dr. A. A. Kuttappa – It is doctor’s job. Trust is the key. Patients should not be frightened away. There are ways to win their confidence. As a doctor, I explain their condition, suggest ways and means of lessening the pain and then go for necessary treatment. Even if a patient is in worse condition, you can solve matters out without much whimpering. Q. You have conducted many health camps. You have treated people from all social classes. What have you observed? Dr. A. A. Kuttappa – I am literally surprised. I have seen rich upstream men having little knowledge about oral hygiene. I have also seen the other extreme, people from rural background maintaining tolerable oral hygiene. It may be due to their food habits, the later being not much exposed to junk food. Yet there is some balance with the urban having more facilities of oral care products. Q. Times have changed. There is advancement in anesthesia techniques and also easy dental tools. Which modern equipment do you feel that you have missed? Dr. A. A. Kuttappa – I feel more comfortable with my own method. Modern technology helps but I belong to old school methods of learning. Q. Looking back at 5 decades of successful career, can you please recall any pleasant moments which took you by surprise? Dr. A. A. Kuttappa – There are aplenty. There were funny instances too. In this field, you have to earn the trust of a person accompanying the patient more than the patient themselves! It is also crucial to gain the trust of young patients. If you can handle the child patients (pun unintended) you can handle them all! Q. Earning money was not in your list I can say clearly. What is the reason behind your immense dedication? Dr. A. A. Kuttappa – I stay simple because it makes me comfortable. Money is essential to a certain extent. Beyond one’s wants, there is no necessity of earning money for its own sake. One of my patients came all the way from USA to me. I was humbled. He said that there were all possible facilities in his country but for a gentle doctor with humane touch. Such trust makes us feel even more responsible. Q. You lead a much disciplined life. It is not a trait that you can pick up on your own. Who is responsible for teaching you such a difficult trait? Dr. A. A. Kuttappa – Very true. I owe this to my mother and my maternal grandfather, Sri B.D.Ganapathy. Be it dedication, patience, healthy food habits, simplicity and contentment, I learnt from them. I feel blessed to have lived up to their expectations and dreams. Even to this day I feel happy to remember that my clinic was opened in the auspicious presence of my proud grandfather. Q. Work itself is a religion for you. You see each day as a new day, a true learner. How do you feel after each day’s strenuous work? Dr. A. A. Kuttappa – Yes. I say I am still practicing when someone asks me. Each case is a new case for me. I am always ready for the next job. This spirit keeps me going and I never feel the strain. Q. Behind every successful man there has to be a woman. In your case it is Mrs. Geeta Kuttappa, equally disciplined being the daughter of an army officer. I guess you have to credit your good health and successful career to her! Dr. A. A. Kuttappa – Yes, very much so. My wife is a good cook, better disciplinarian than myself! It is her ability in decision making that sets on a smooth sail. 75 years is just a number, I am young at heart and attitude because of her. Q. We do take the pleasure to mention that one of your daughters, Dr|| Tarana Chengappa. She is a first rank holder and gold medalist in dental surgery. She has taken up your profession and is gloriously successful. How do you feel when someone says that she is surpassing you? Dr. A. A. Kuttappa – I feel proud. She has learnt more from her husband, Dr|| Ravin Chengappa, who is also a dental surgeon, than from me. My other two daughters are doing wonderful in the field of education. I am happy and content with their achievements in their respective fields. Q. Beyond being a surgeon, you live on principles. You never liked to promote products, never liked politics and you never liked taking advantage of your position. You are a true Gandhian without calling yourself so. What is your motto? Dr. A. 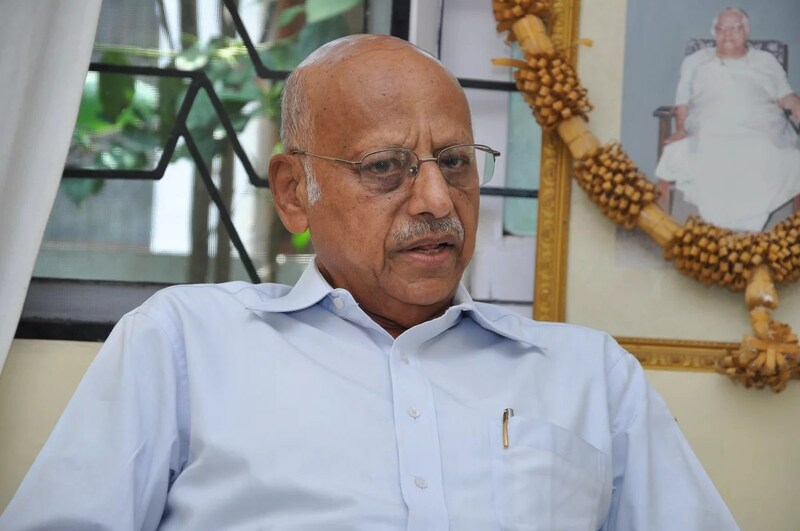 A. Kuttappa – Contentment is the motto of my life. That contentment has to come from within. This has helped me enjoy the simplicity of life. Q. Do you have any plans of writing down your humane thoughts ideas and vision and bring it in the form of a book? Dr. A. A. Kuttappa – I have to focus my thoughts first and then work on it. Let us look forward to it. This Interview was taken by Thriveni C. Mysore and mailed to us. Desi Medicos team was not involved in the interview process.